Doctors: Unfortunately, some doctors who admit people who are not critically sick and then proceed to lodge false claims on their behalf. Patients/health insurance policyholders: Upon claiming cash for treatment, the patients then divide it with the doctor who helped them fake their illness. Doctors prescribe high cost drugs and direct patients to purchase low cost alternatives. Then the patient claims for the higher cost drugs. As seen above, scheme members, in collusion with healthcare professionals, submit claims for treatment of non-existent illnesses and then share the lump sum payout with them. Also, doctors give members fake sick notes and make claims to the insurer. And policyholders, in cahoots with doctors and hospitals, make claims for hospital admissions that never took place. Sometimes members make claims using forged documents for treatment supposedly provided by healthcare professionals but never actually rendered. Sometimes pharmacies sell items like sunglasses and cosmetics, which are not for any treatment, to scheme members. They then submit claims to schemes as though they have sold medicines to policyholders. Deploying a proprietary forensic software called Informa which sifts through claims data every day to detect suspicious patterns. Bringing in a team of expert investigators and analysts. Creating awareness about fraud in various forums and platforms within the healthcare industry including healthcare conferences. Creating awareness of health insurance fraud in the general public using posters and ads placed on company intranets. 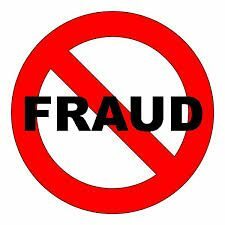 Claiming back funds fraudulently claimed by insurance policyholders and healthcare professionals. Where fraud has taken place, the company or medical aid cancels the policies of the members concerned. And where necessary, the schemes files charges with the police, who arrest the perpetrators. Also, cases of fraud involving medical professionals are reported to the Health Professionals Council of South Africa (HPCSA). Then, depending on the gravity of the case, the HPCSA can decided whether or not to suspend the professionals mentioned. Importatnly, reputational damage to the medical insurance industry and the healthcare industry in general as a result of fraud, is slowly being repaired. Lastly, vital information and statistics from forensic investigations on medical insurance fraud has been gathered and used to detect fraud patterns. Significantly, this has proved useful in preventing further fraud. ← Medical aid waiting periods and late-joiner penalties: What. How. Why?